Commemorate the day you married, the day you moved into your home, or another day special to you and the one you love. 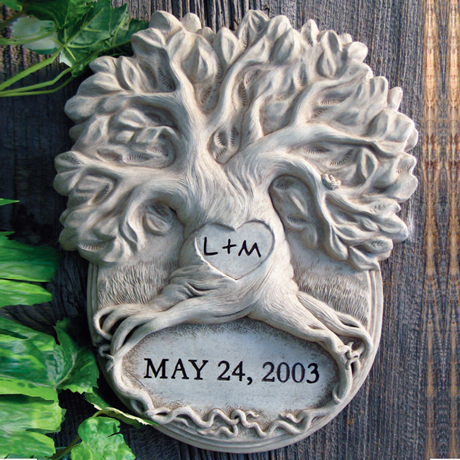 Reproduced from an original carved by American sculptor George Carruth, a tree with spreading branches features your date and initials "carved" into a heart. Cast in concrete, it arrives ready to hang indoors or out. 9 1/2"w x 12"h x 1 1/2"d. Made in USA. 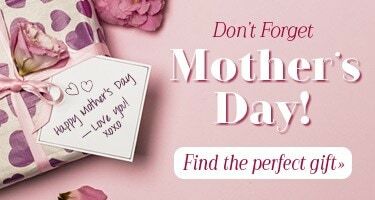 Specify up to 3 characters for the heart, up to 11 for the date (month, day, year) including punctuation and spaces (longer months would be abbreviated). Allow 4 weeks for delivery. No rush delivery or gift box. Item can only be shipped within the Continental US.